Individuals, small businesses, large corporate institutions and governments require spell check software products as long as they are operational. These applications aid in enhancing both spoken and written language. They simply check written texts to identify and correct spelling mistakes. They correct grammar and spelling errors based on their contextual meanings. You should use them because ordinary typing software products only correct spelling mistakes. These tools are customizable and they operate on diverse types of programs. The Ginger software is perfect for shorthand typing. It comes with word-prediction tool to enable you to start writing better and faster. It also features a grammar checker, sentence rephraser, and translator. Take advantage of its text reader, one set of user dictionaries and personal trainer to improve your spoken English. WhiteSmoke Writer for Mac not only checks your spelling mistakes. It also proofreads your writing. It offers artificial intelligence enabling you to learn. It also features a grammar checker that perfects your grammar. Above all, it reviews your work and provides you with a report on the same. As a result, it makes you an efficient writer. 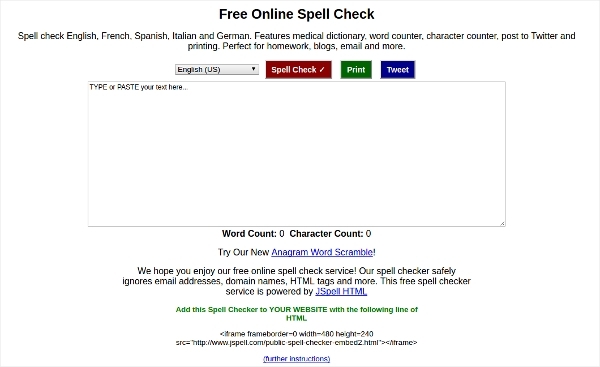 Spell check your way to success with Speed Typing. This software has an auto-replace feature that replaces defined keywords with pre-determined full texts. Thus, it facilitates shorthand typing. What is more, you can customize it to suit your needs. Its hyper-notepad, phrasebook and one set of user dictionaries make it a perfect spell checker. 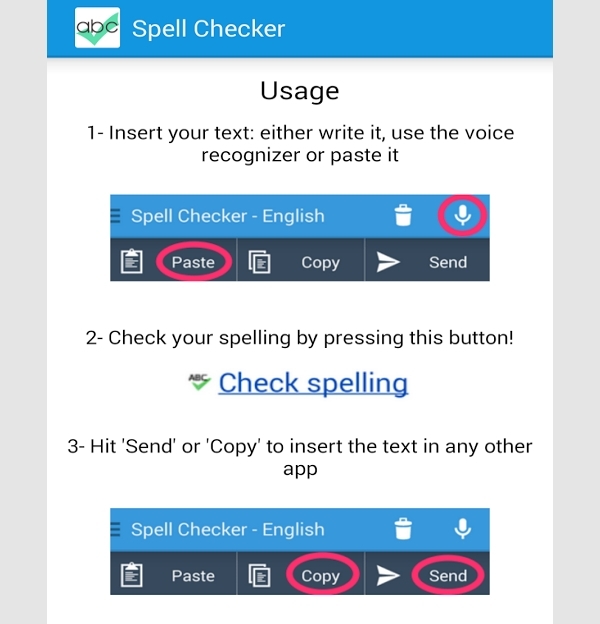 Spell checker for Android goes through your text to identify your words. It then checks them against another list of ideal words. Later, it suggests words based on structure and sound of the incorrect word. Apart from spell checking, you can use its multi-lingual translator to interact with people from different countries. Spell Check Anywhere understands that spelling matters. Hence, it solves prevalent issues associated with typical spell checkers. This tool spell checks all aspects of your text including subject lines and comments. It corrects heavily misspelled words, supports foreign languages at no extra cost and offers technical support when the tool stops working. Spell catcher enables you to start writing better and faster in all programs. You can use its features universally on every database, spreadsheet, browser, word processor and platform that allows you to enter text. It aids shorthand typing and has one set of user dictionaries, ghostwriter, spell checker and automatic features that enhance your writing. 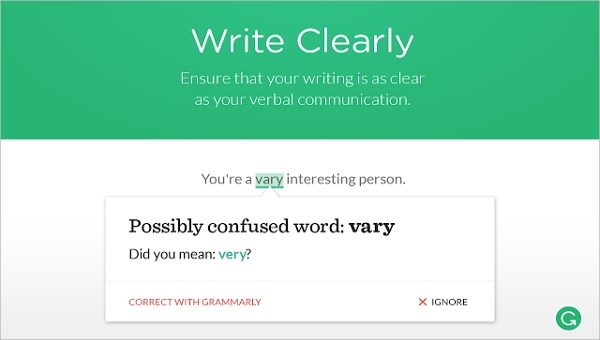 Grammarly is all that you need to spell check your way to success. This software follows more than 250 grammar rules. It scans your content to identify contextual spelling errors and hence correct them. You should use it to enhance your vocabulary. It has a context-based thesaurus to simplify your work. What is Spell Check Software? 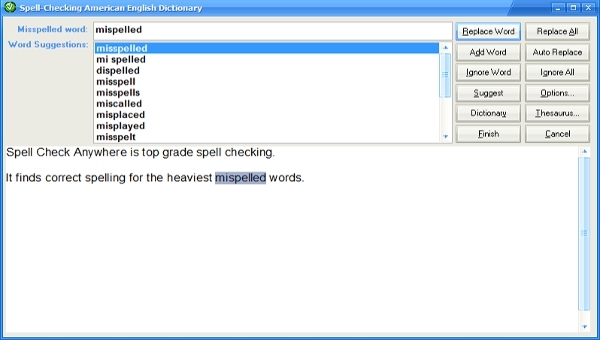 Spell Check Software is a tool that corrects spelling errors is your documents. You need to download and install it on your device. Even so, some spell check software products are available for online use. You simply need to copy and paste your document online. Then, this checker will scan it for errors. It will also suggest correct words to replace the wrong ones. Apart from correcting spelling mistakes, advanced software programs correct grammar errors. You will delight in using the best applications that come free of cost. 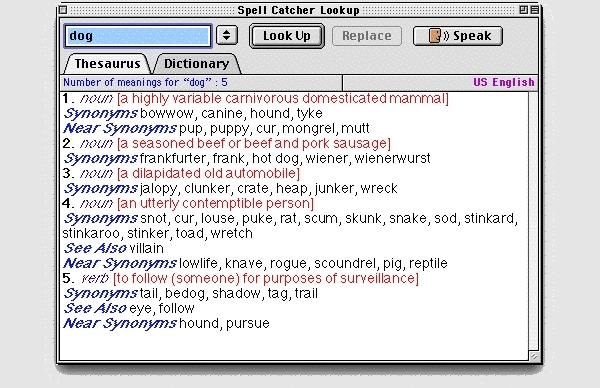 They have a thesaurus for use in different fields and one set of user dictionaries. Finally, since spelling matters, you should start writing better and faster using the best spell check software products. They provide cheap means of producing error-free work. Thus, they enhance the quality of your work regardless of your level of education. 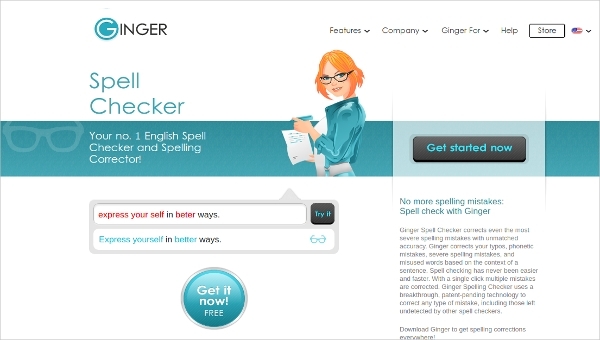 Grammarly, Ginger, and Spell Check anywhere are among the free applications to use.